Learning that your pet has a dangerous disease can be very devastating. Deciding on what kind of treatment plan you should choose for your pet can be a pretty hard process, and as such, it can make you feel very anxious as you are making potentially life-changing decisions for your pet. 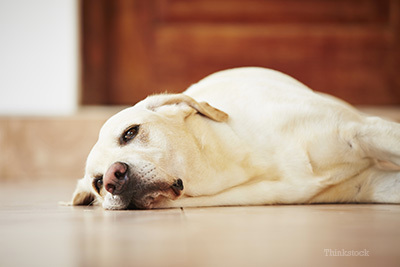 While most treatment options are completely harmless, sometimes an owner’s pet intentions can actually slow the entire treatment process down significantly. With that said, there are some things that you should definitely avoid doing during your pet’s treatment process. For example, you should never give your pet any supplements or medications before consulting your primary veterinarian first. Although you may be tempted to do give your pet a certain supplement or medication, it is very likely that you are going to give them the wrong product. What this means is that instead of reducing your pet’s recovery time, you might actually do the complete opposite of that, and it is pretty much safe to say that nobody wants to do that to their pet. That being said, here are three more things that you should never do during your pet’s cancer treatment! Some pets that suffer from cancer will show signs of a poor appetite during the treatment process. This is especially the case with cats. Sometimes, poor appetite occurs because of the treatment process itself. In this case, it is actually a good idea to offer your pet a wider variety of food – something that you shouldn’t do when your pet is healthy. This includes typically prohibited items such as fast food or pretty much any other type of food that people eat. But don’t do anything before contacting your primary veterinarian. You probably have a lot of questions regarding your pet’s current condition, right? If this is the case, it is very important to have these questions addressed as soon as possible. Make sure to write these questions down, just in case you forget them later on. Have you ever encountered any individuals who questioned your decision to treat your pet’s cancer? These people can make you feel like all you want to do is be alone. But don’t let them do that to you! The next time you encounter an individual like this, just remember that there is a whole lot of people out there who would do the exact same thing that you did.